411 Freebies And More: 2 Free Admission Passes During Museum Day - September 29th! 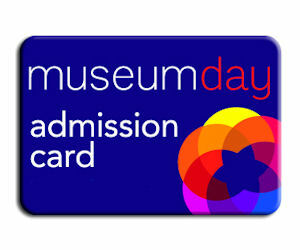 2 Free Admission Passes During Museum Day - September 29th! Enjoy FREE general admission for you and a guest to museums and cultural venues nationwide on September 29, 2012. Visit the linked page to sign up. They'll then email you a link to print your 2 free passes.